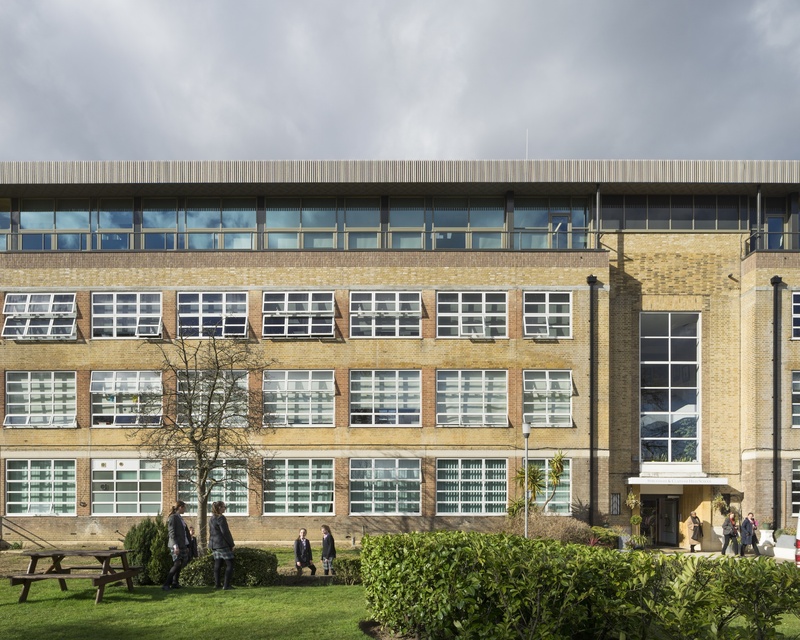 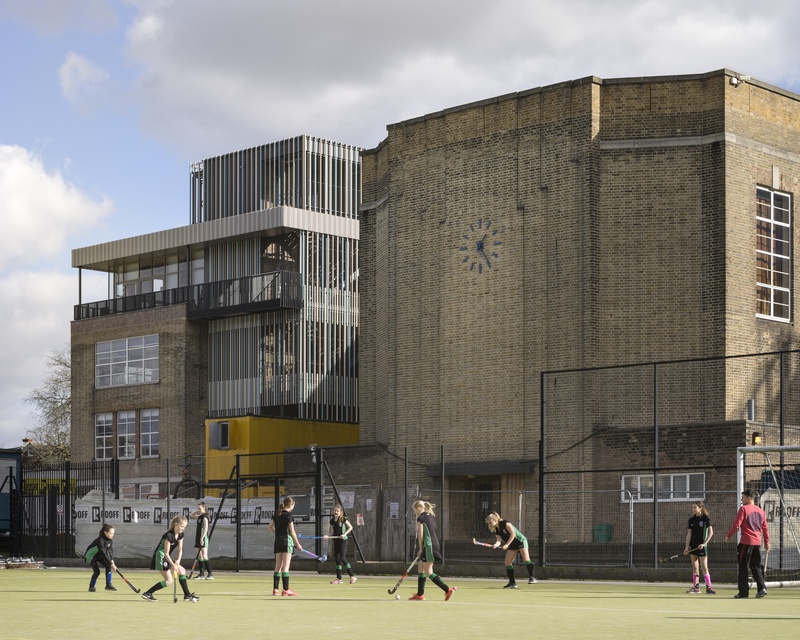 The first phase, now complete, provides a new sixth form centre within a rooftop extension which sits over the main body of the existing school. 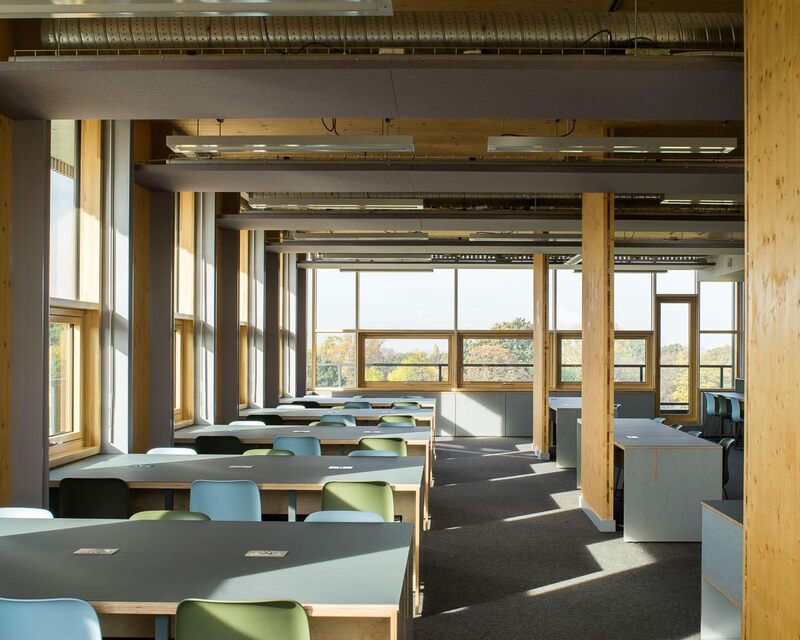 This contains book-ended common and study spaces, connected by a spine of classrooms, offices, a science laboratory and service spaces. 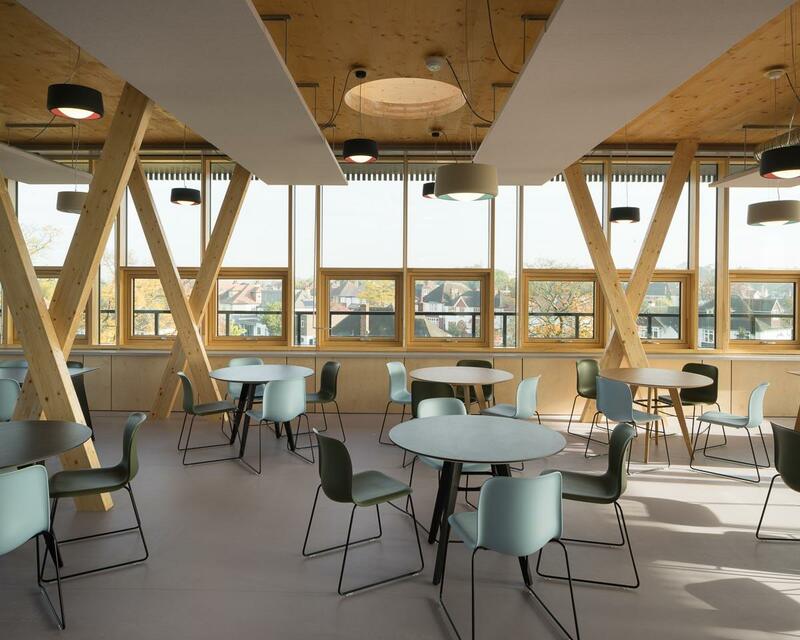 Extended existing and new stair towers connect the sixth form centre with the rest of the school, incorporating new plant areas, escape stair and a new fully accessible passenger lift. 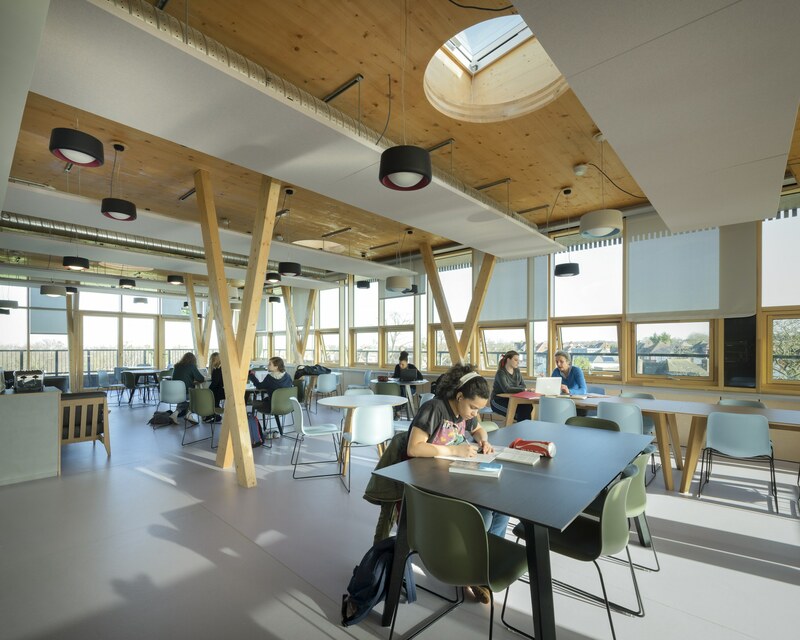 The main internal spaces are characterized by glazed curtain walling giving excellent daylighting to the teaching and social spaces. 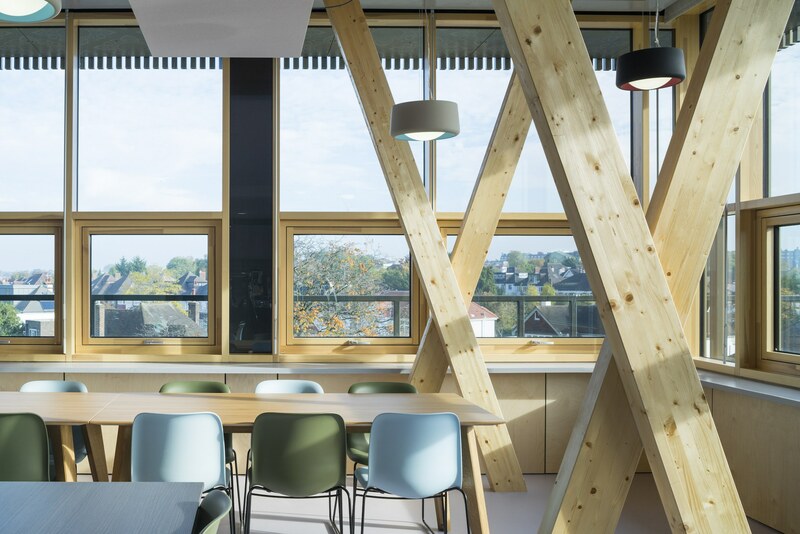 An overhanging roof provides shading to these areas to minimize solar gain and glare. 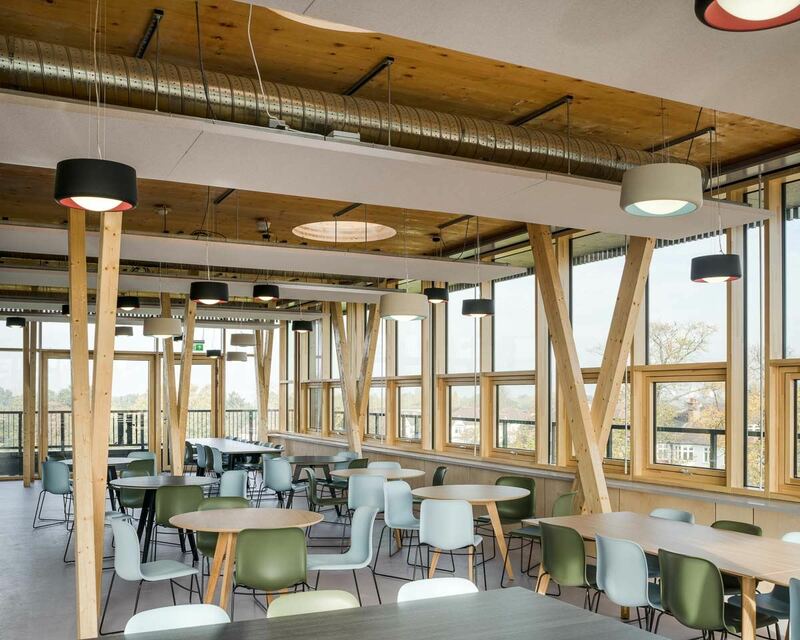 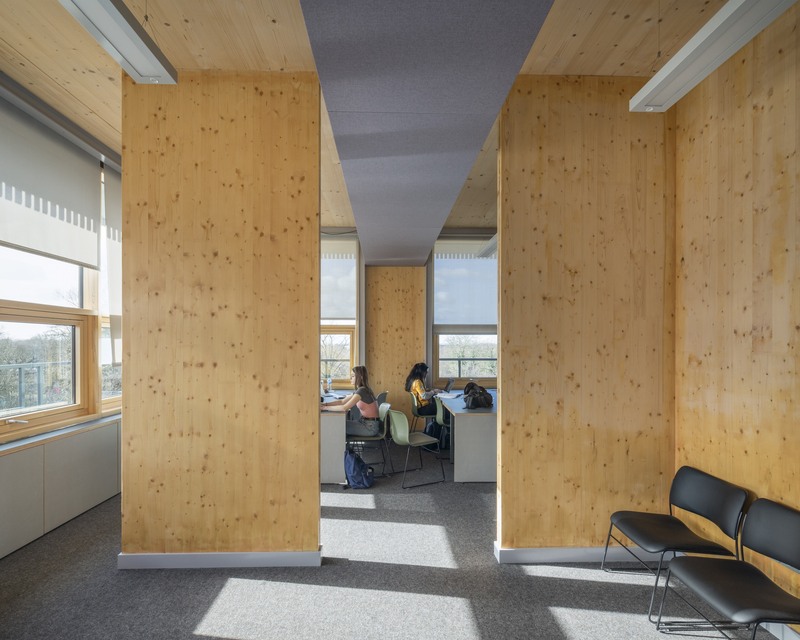 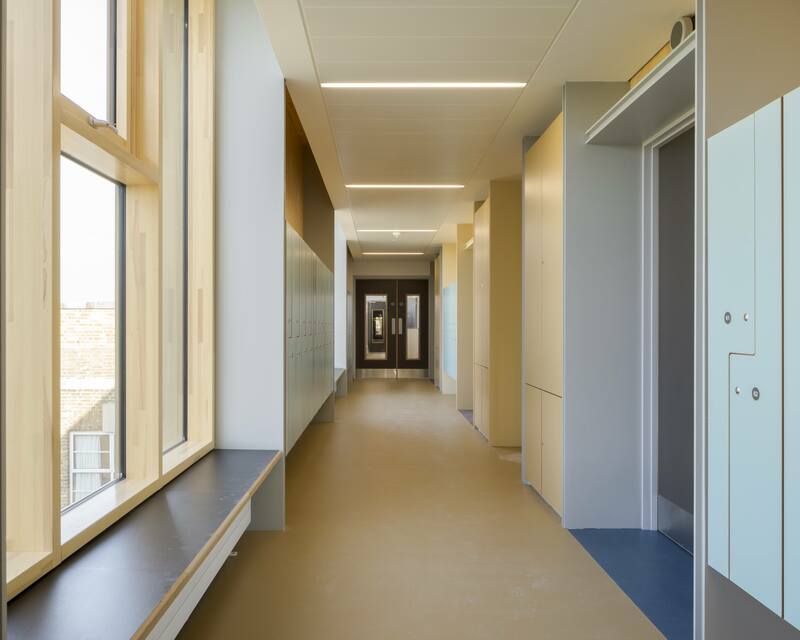 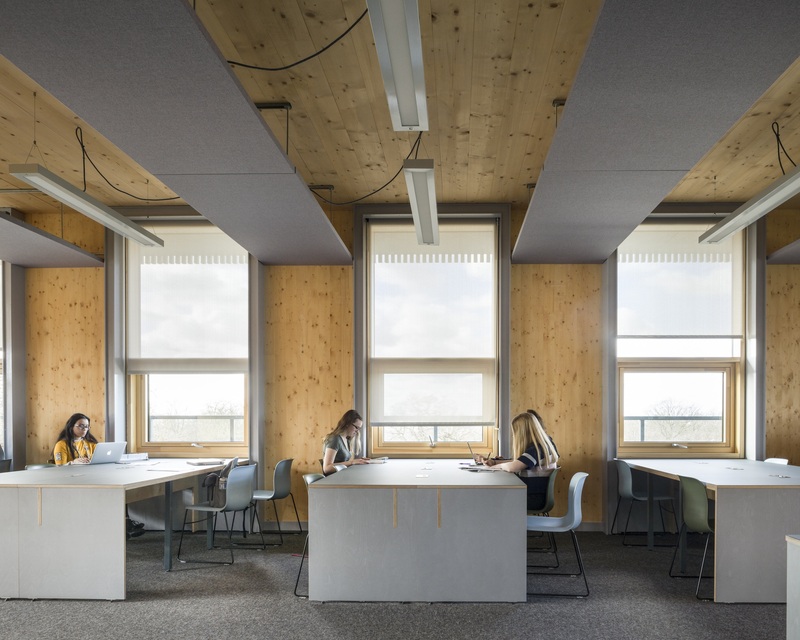 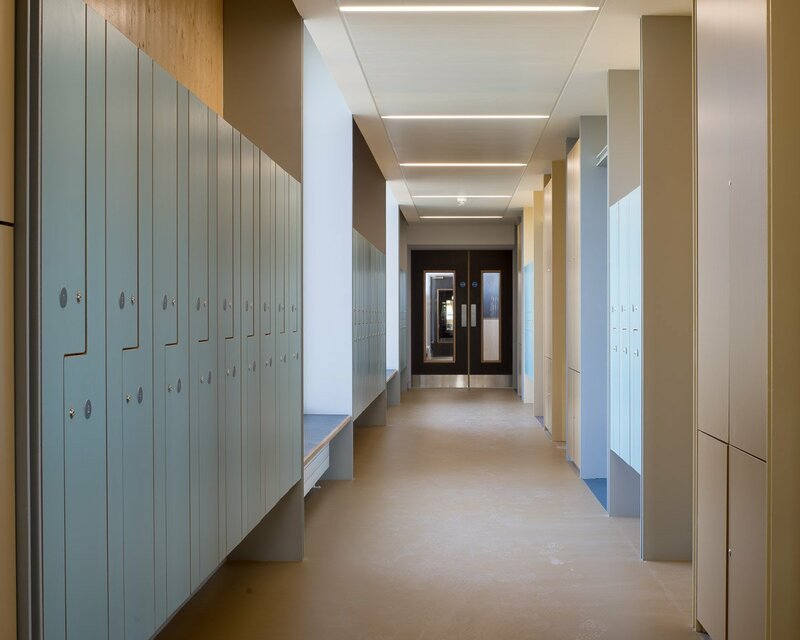 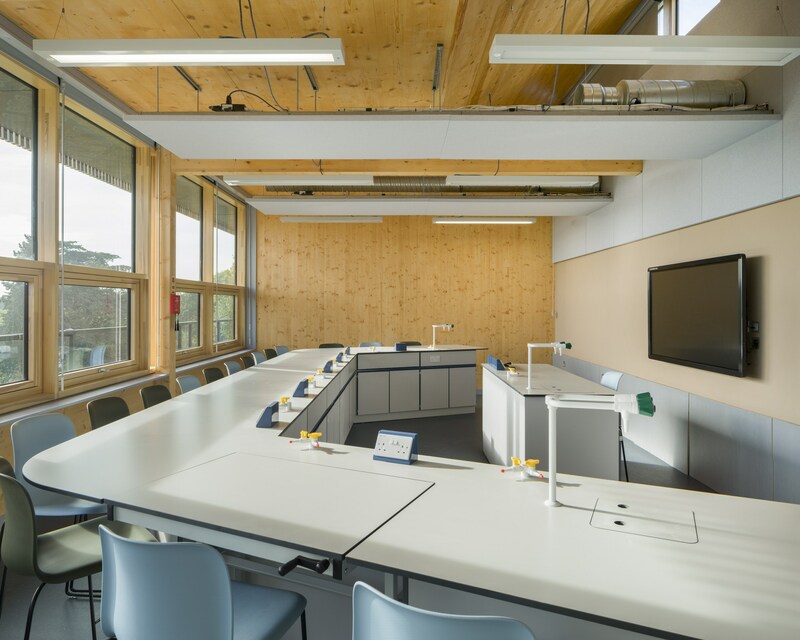 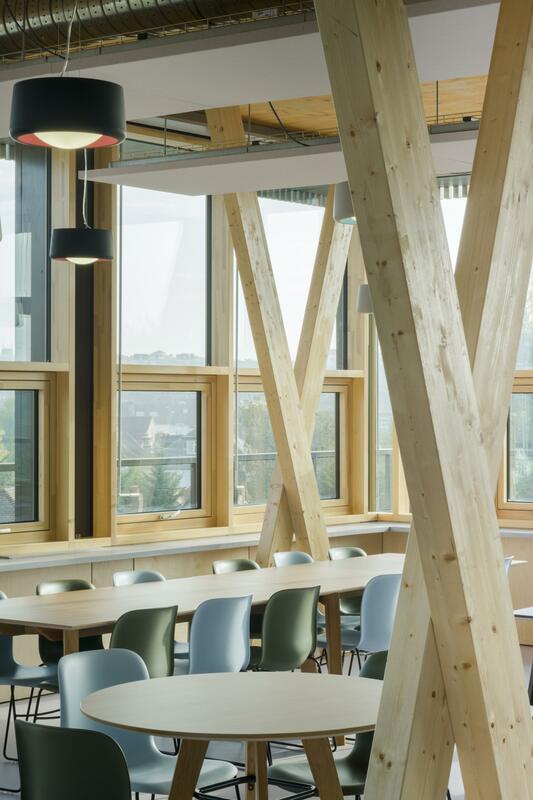 The majority of the finishes are exposed cross laminated timber panels, with areas of plasterboard to achieve acoustic separation and conceal services installations. 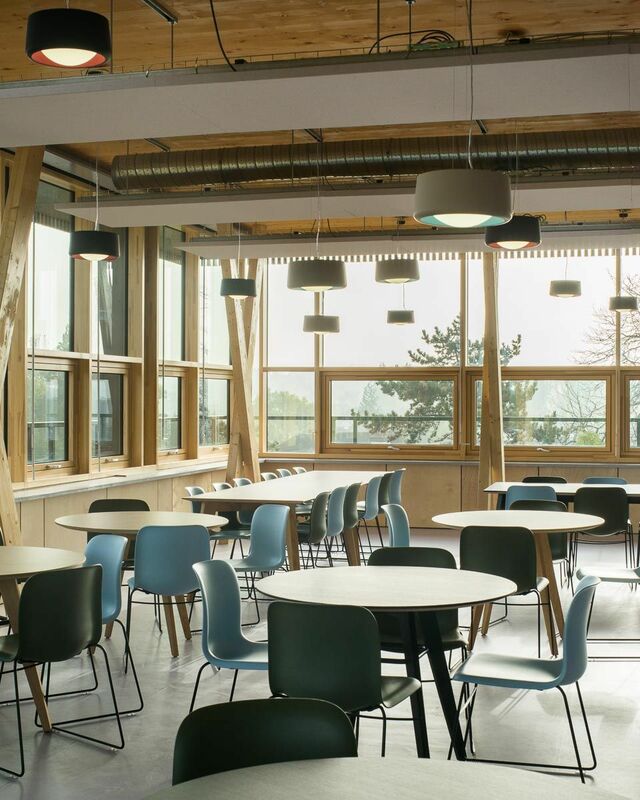 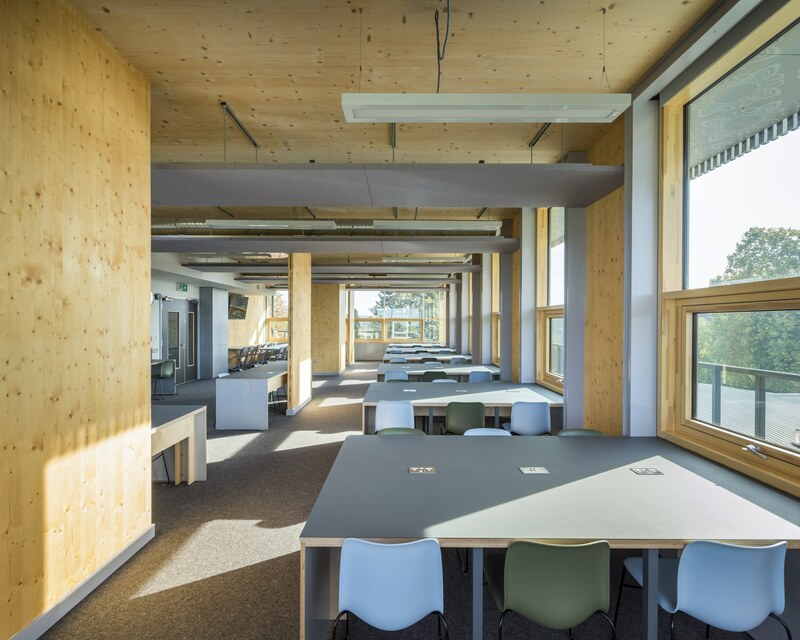 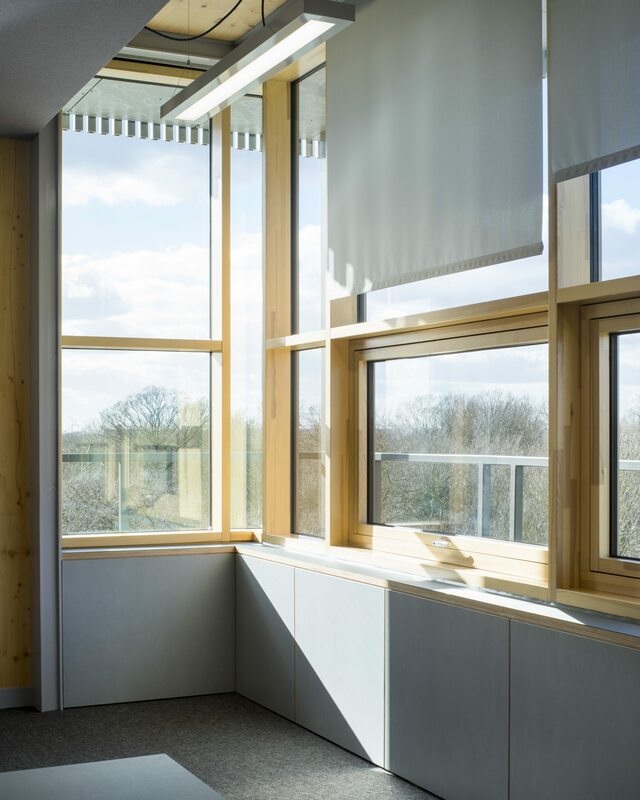 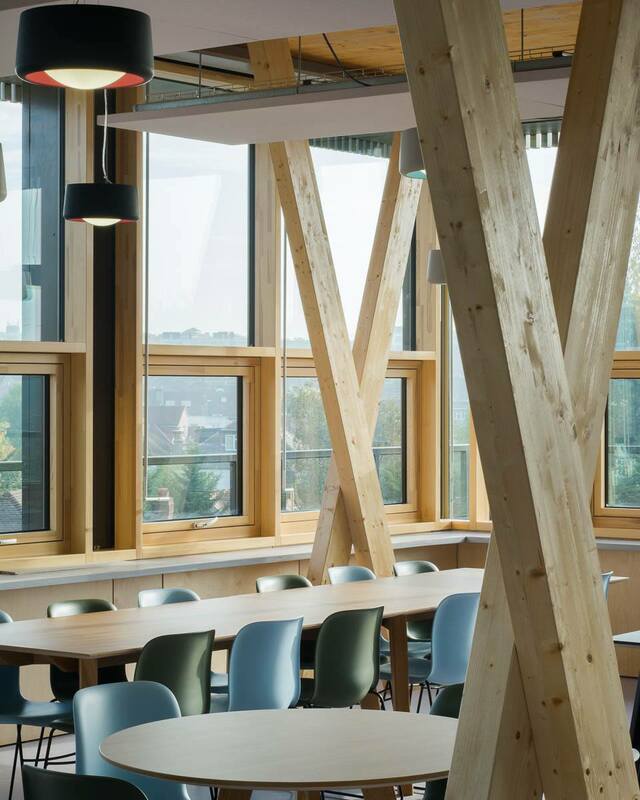 The timber finishes are continued in the internal window mullions and cross-columns in the study and common rooms. 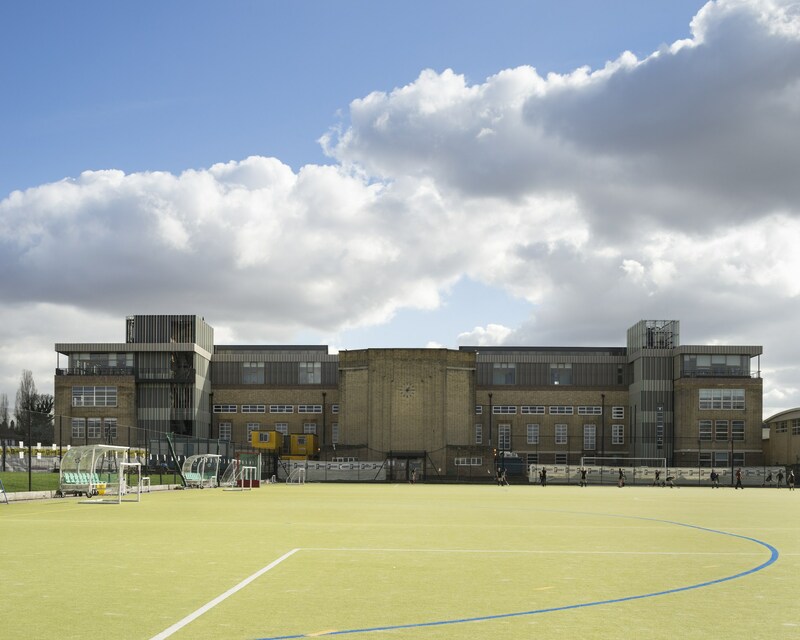 Later phases, currently site, will deliver a new build extension featuring a new dining hall, new school entrance and reception facilities. 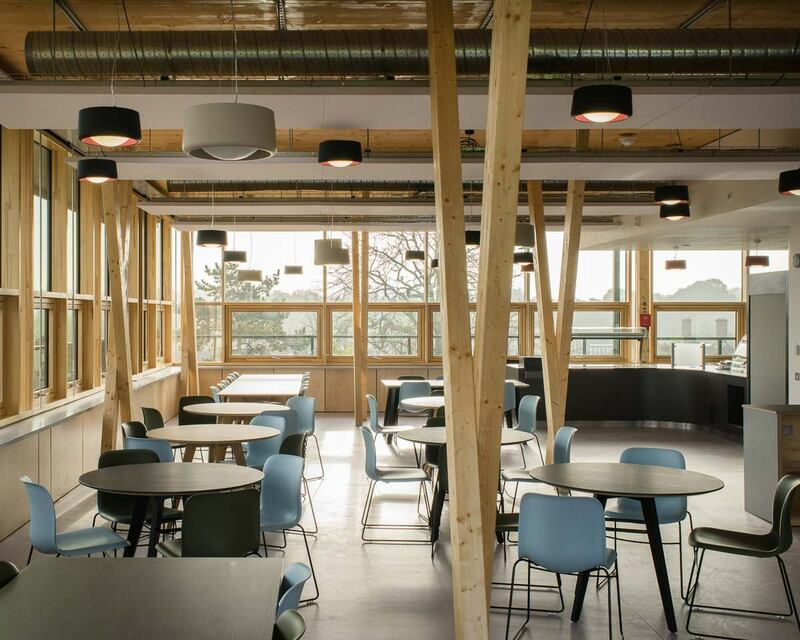 A refurbished kitchen will be located in the existing dining hall.